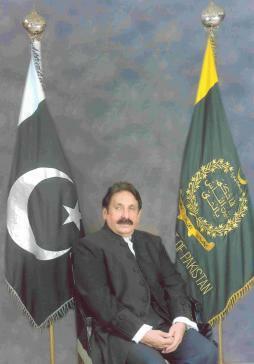 The Supreme Court of Pakistan re-instated Chief Justice Iftikhar Chaudry four months after his suspension from a referral issued by President Pervez Musharraf for mis-use of office, corruption, and other things. The referral has created great dissent against Musharraf, and has turned the moderate middle and some of his long-time supporters against him. Most lawyers in Pakistan have demonstrated weekly for the length of this constitutional crisis, and most of the educated people in Pakistan have been solidly against it. By clearing the Chief Justice the panel of judges demonstrated that the rule of law does hold sway in Pakistan. Let us hope that Musharraf demonstrates that he also holds with the outcome. Conventional wisdom had it that Musharraf’s reasons were to preclude constitutional challenges to his re-election while still in uniform; unlike the US, Pakistan has separate positions for President and Commander-in-Chief of the army. Personally I find that a silly, and in some cases dangerous, difference. The army must always be subject to civilian control; by the executive in times of war and emergency, and by the congress or national assembly for finance and declarations of war. Most of Pakistan’s leadership coups have been through coup by the army heads. As long as the Army is not under sway of law and the legislative and executive branches, there are likely to be future coups. Update: Here’s the article from the Daily Times in Pakistan. More at Pakistaniat.com and Metroblogging Islamabad. In other news, the new Movie “KhudaKayLiye” (In the Name of God) was released, a Pakistan produced film that examines live in Pakistan since 9/11 from separate and distinctly different viewpoints — that of an artist, a religious hard-liner, and a woman in a forced marriage. It also promises to be a landmark in Pakistan’s history, however the poor folks in Islamabad, Pakistan’s capital city, cannot watch it because the Lal Masjid Taliban burnt the last cinema in town. More on the opening at Daily Times. Does this mean you are back from vacation? !